This ribbon made of polyester forms a beautiful bow and has fine intricate threads to form an organic pattern that creates a silky look with great detail. The thread is intrically wrapped around the wired edge. 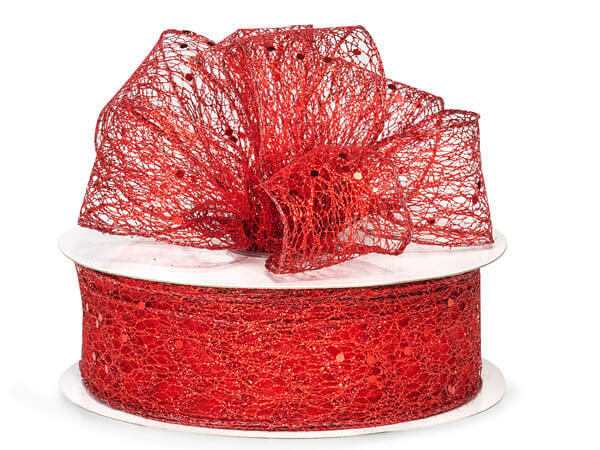 Each ribbon color has a beautiful touch of metallic in the wired edge or a metallic dot in the ribbon. Made not to shed!